Hot on the heels of yesterday's news that both Mega Man 11 and Mega Man X Legacy Collection 1+2 are performing well, Capcom just released some sales numbers. 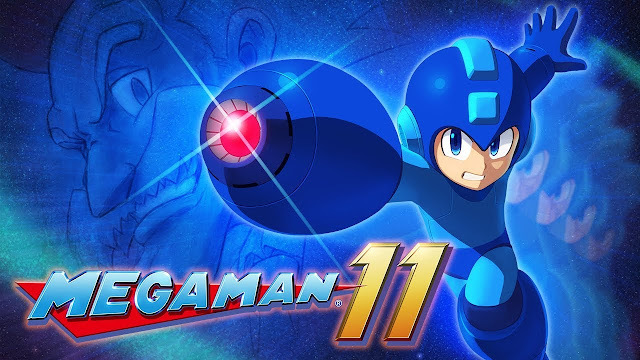 In a Q&A session posted to their Investor Relations page, Capcom revealed that Mega Man 11 sold approximately 870,000 units since it launched on October 2nd, 2018. Meanwhile, Mega Man X Legacy Collection (they don't specify if it's Legacy Collection 1 or 1+2) sold a total of 920,000 units since it launched in July 2018. These are cumulative numbers across all platforms – PlayStation 4, Xbox One, Nintendo Switch, and PC. If Mega Man 11 and Mega Man X Legacy Collection continue to sell at a steady rate, both titles could very well achieve one million units each by the end of this quarter. If that happens, they will join the ranks of the few Mega Man titles to sell a million or more units in the franchise's 30-year history. Make no mistake: Mega Man is back. Onto the next! WOW!!!! That's really all I can say now! I would like a MMX game to revive MMX but focusing on the classic in a good idea too. Nice to see it goes well! Goood sh**, that is surprising and how you show numbers. So does this make this the 3rd most popular classic game? One question is this digital and physical or just physical? Still good numbers just curious. We did it fellas! Mega Man truly is back!! Just to put in perspective the last individual Mega Man game to sell 1 million copies in it's life time was Mega Man X in 1993 for the Super Nintendo/Famicom. Last Classic Mega Man game to individually sell 1 million was Mega Man 3. Looks like MM11 should be at least the 2nd or 3rd best selling game in series history. Well look at that. If you do something with the series it will sell. Got a lot of catching up to do Capcom. Keep at it. What are you on about? They did plenty with the series during its last days and none of them sold well enough. Mega Man 9, Mrga Man 10, Powered Up, Maverick Hunter X, Mega Man ZX and ZX Advent were all quality titles (I enjoyed Starforce, but they shot themselves in the foot by oversaturating the market with 2-3 versions coming out at the same time). Everyone seems to conveniently seems to forget that Capcom pumped out a bunch of Mega Man games before Legends 3 was cancelled. If anything, not doing anything is what helped fuel desire for the franchise. I'm not talking about quality of titles or just pumping out uninspired sequel after sequel, I'm talking about things like scale, promotion, things of that nature. Those two PSP games you mentioned are from 2006. That's a pretty far reach for your point. Those two and especially the ZX and ZXA games were terribly advertised, at least outside Japan. Instead of trying to sell people on the games, Capcom decided to let them sell as they would and Inafune had to basically beg people to buy ZXA. Mega Man 9 sold beyond their expectations by the way. 10 sold well enough to make them happy, but much more modestly compared to 9. That's also what I meant when I said they need to "do something." 10 was a weak follow up to 9 and during the same time frame, games from franchises that sold worse than Mega Man like Bionic Commando and Strider were getting bigger budgets than Mega Man, even after the success of 9. Mega Man 11 is what Mega Man 10 should have been. Going from over saturation to not doing anything is not a good step, and it was dangerous for the franchise. They were talking about leaving the franchise in the past and probably would have if fans hadn't stepped up, a show of support they certainly didn't earn, and bought a collection of games most of them already owned. Sakurai deciding to put Mega Man in Smash certainly helped with that as well. Was better for promotion than anything Capcom was doing. Reading back what I wrote, I would like to apologize for the tone of my 2nd comment. I really should have specified in my first comment that what I meant by "do something" I meant they needed to do something more substantial than what their efforts have been over the past decade or so. I have to completely agree about the advertising. i'm not living in either Japan or the US, and was'nt born in the time of the NES games... I discoverd MegaMan by PURE COINCIDENCE. A friend broke his nintendo DS, and since he was'nt planning on buying a new one he gave me his games, among them Zero collection, ZXA and Batlle Network double team. Before that i barely knew MegaMan by name. I don't mean to be negative, but there's still a effort to be made in advertising, in this day and age, a game don't sell on it's own, even if it's good. Now it's a bit better, but still not enough, lots of peoples arround me only heard about MM11 because i told them about it. I would love the following 2 things. 2 A series set after ZX series where the real X is back somehow. No stupid biometal and X wannabes. The real X with maybe Ver Ke design. Maybe we can call it Mega Man Future X.
I think bringing X back after ZX, and especially after Zero at that point, would undermine the plot of the Zero series. Sure, X's consciousness is in Model X, and if that were to be extracted somehow, that could be worked into something. But I think ZX needs to end with ZX3, which in turn leads into Legends. Some people theorize that The Master is actually X. I have to agree, as it makes sense. Things The Master said, X's dream of "Elysium." What would be the point of a serie after ZX using the protagonist of a previous serie when they can just make X9? the whole point of making new series is that they can do different things, if i get a game with X, it have to be in the x serie. Bringing X back at this point would make little sense plot-wise, him and Zero have completed their arcs. Finally, come on, let him sleep. Guy fought Maverick for centuries, let someone else uphold his legacy and fight for everlasting peace. Really the people who did play ZXA, putting (aside the whole "Geewun"-like mentallity) generally enjoyed it, the problem is more that this game received zero advertising. Wow, that is awesome. I will add that it's probably unfair to compare earlier numbers to later ones since I think video games are generally more accessible today than they were back then. However, that's still almost a million people who've enjoyed Mega Man games, that makes me smile! I don't need to hear more. X9 confirmed. Compared to Capcom's other franchises and the mainstream series made by other companies, I can see why Capcom tried (rather haphazardly) to give the series mainstream appeal. For such a major gaming juggernaut historically (hope he's still an icon), seems like MM deserves to sell more than it does. I'm just happy to see an MMBN game up there with MM2, MM3, and MMX1 (even if it's 4...)! Capcom's "efforts" to get the series to the mainstream is exactly the problem it has had. And continues to have, what with Xover and Fully Charged. Robots might still be too alienating to the mainstream (yes, even in 2019) but I'd be curious to see how a smartphone-centric MMBN would perform. Megaman Battle network was given proper exposure, with anime that actually had something to do with the game, and it paid. wish they would do this with the other series. Did we ever find out how Mega Man 9 & 10 faired sales wise? This is rather delightful, it seems Capcom's finally found their stride again after going all in on their 'westernization' philosophy for most of the past decade while missing the point. Turns out they didn't need to do that, they just needed to continue doing what they did best. It's not just MM that's doing well, Resident Evil is now more relevant than ever, Monster Hunter is now a globally known franchise, an Onimusha revival might be happening, and Devil May Cry is set to be another smash hit later this month. Only the fighting games division seems to be struggling now. Capcom just needs to reboot Legends 3, come out with X9, and let Itsuno make his dream project Dragon's Dogma 2 after DMC5 is released. That'd be one hell of a future. Dang it. And I didn't want ANOTHER REBOOT after the Resident Evil 2 Remake is considered retconning all other Resident Evil games, including 3 and 4. This saddens me. Which console sold more game units? gotta be switch without a doubt.